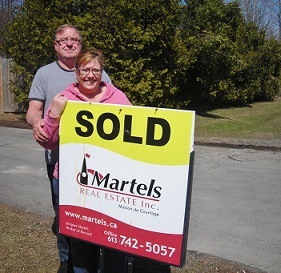 "Nous sommes très reconnaissants pour l’excellent service obtenu chez Martels Real Estate Inc."
"Having had a prior bad experience with a realtor service, we hesitated to choose another company for our downsizing project. Fortunately, from the moment we communicated with your firm, we received a service so efficient that we were able to sell to our son, our 4 bedroom home, but and move-in the condominium of our dreams, in a matter of one month. Mrs. Valerie Payer, your agent, provided us with invaluable expertise from the start of this project. Valerie is honest with her evaluation process which was detailed, accurate and precise. Valerie was very helpful in the multiple visits of condos in our preferred are for our next residence. Her advice and searches for our purchase. Mrs. Valerie Payer is an excellent communicator, well infirmed and very personable, she succeeded in greatly alleviating our stress through this challenging period. Tous les membres de votre équipe ont été courtois et efficaces. Nous n’hésitons pas à recommander votre firme pour un service bilingue exceptionnel qui justifie le besoin d’expertise d’un service immobilier au moment de la vente ou de l’achat d’une propriété." 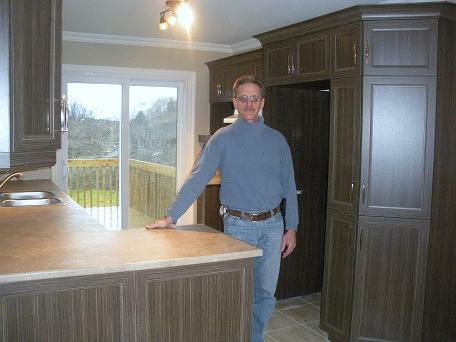 "The Guaranteed Sale program gave us the peace of mind and reassurance that our home was sold, no matter what happened. We sold within 2 days and at 102.5% of market value!" "Their Guaranteed Sale attracted me and my house sold within 20 days and the Martels were able to get me 99% of my asking price." "The guaranteed sale took away the stress of the sale of our home and enabled us to purchase the home we didn’t want to lose!" "We called the Martels when we decided to move because we had done business with them in the past. We had a great experience previously so it was only logical to contact them again. We had our eye on a home we loved and the only way we could get that home was if we sold our current property. The Martels offered us their guaranteed sale program which gave us the freedom to buy the home we wanted! The guaranteed sale took away the stress of the sale of our home and enabled us to purchase the home we didn’t want to lose! Our agent, Valerie, was extremely helpful in negotiations for a better deal. 27 Manitou St, Embrun, ON. "The guaranteed sale gave us the reassurance that our house was sold, in time, no matter what happened AND the bonus, we sold for 100% of the market value." 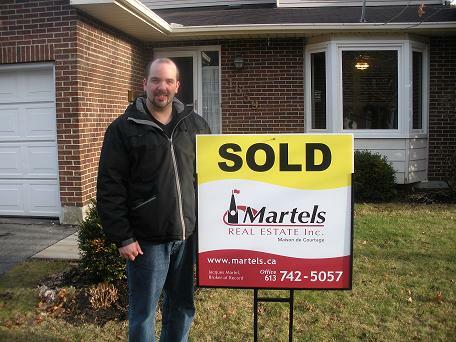 "The Martels did guarantee the sale of my home! I received 100% of the asking price." "The Martels guaranteed a couple’s homes so they could buy ours!" "I thought it was a gimmick!" "We got $20,000 more and The Martels actually guaranteed the sale of another family’s home so they could buy ours." "We sold within 26 days and for 99% of our asking price!" "The Martels are an excellent and very efficient team! " “We are an RCMP family that was being relocated to Ottawa. As soon as we got in touch with Martels Real Estate, they were very thorough in letting us know what we could expect with the Ottawa market and buying a home here. We spoke with Lucie Martel about what we were looking for and we really felt she was going to work for us when the time came to look for homes. As expected, our HHT dates were announced and we were immediately made top priority for that week. The Martels had a tour ready with plenty of homes to visit within our criteria to make sure we wasted no time. "We strongly recommend the Martels for anyone relocating to the Ottawa area." 473 Keith Crescent, Ottawa, ON. "5 days on the market ended with 100% of our asking price and a good closing date! " Une semaine seulement et notre maison était vendue! Une semaine seulement et notre maison était vendue, un exploit et soulagement qui est tellement apprécié. Nous savons que notre maison était un vrai petit bijou et que nous n’aurions aucun problème à la vendre mais grâce à toute votre équipe, ça nous a semblé encore plus facile, moins stressant et surtout intéressant. Le processus était facile à suivre, les appels toujours clairs, les différents commentaires, courriels et discussions sans reproche avec le plus grand respect et toujours la vision et le vouloir de nous satisfaire à 150%. Vous allez toujours au devant en prenant bien soin de tous les petits détails et ceci est toujours impressionnant et sans reproche. Merci encore pour le cadeau, un autre exemple du fait que vous ne faites rien d’ordinaire et vous vous souciez vraiment de notre entière satisfaction et prenez à cœur le service offert à vos clients. 500 Laurier Ave. West. Ottawa, ON. "We signed with the Martels and within 19 days we were sold!" "What attracted us to the Martels was their experience in military moves." "The referral to the Martels team was an excellent choice, everyone was very well organized and on top of everything from beginning to end." "I wanted to take this opportunity to thank-you for all your hard work and looking after my now your clients Miriam Saumer and Benoit Stockless during their house hunting trip to Ottawa in late May. This was a very stressful time for them and when they returned to Kingston they could not praise you enough. They felt that the referral to the Martels team was an excellent choice, everyone was very well organized and on top of everything from beginning to end. “When we found out we were being relocated back to Ottawa we immediately called the Martels." "When we found out we were being relocated back to Ottawa we immediately called the Martels. Lucie was our Real Estate Sales Representative for previous transactions and we were confident in her services. We needed to purchase a home and in the usual short time frame. We were paired up with Valerie for our house hunting trip and she did great! We found our home within the first day our offer was done and accepted the 2nd day and the rest was a breeze. "We got the house we wanted for 9,500$ less that their asking price!" "We were here for our house hunting trip and we used the Martels as our representatives. On our 2nd full day of visiting houses, we found the house on which we wanted to make an offer. Our Real Estate Sales Representative felt the house was overpriced and advised us to make a lower offer. After the seller countered with their firm price, we were ready to accept, but our Real Estate Sales Representative talked to the seller's representative and managed to negotiate another 2,500$ off the purchase price! We got the house we wanted for 9,500$ less that their asking price! Thank you for all your help, we are very happy with the outcome!" Richard & Taline Y. "Having experienced previous moves due to military postings we knew it's critical to find the best fit for us, in terms of realtor. We found that fit with the Martels. We received 104% of our asking price!" "Having experienced previous moves due to military postings we knew it's critical to find the best fit for us, in terms of realtor. We found that fit with the Martels whose professional team was clearly experienced, professional and responded to our goal of ensuring the best sale price given the current market, in a focussed manner. Their strategy? List at an "interesting" market value, create high demand by pausing before scheduling viewings and designate a separate date to entertain offers. It definitely worked! We received 104% of our asking price! We appreciated their Ottawa market savvy tips on how to prepare our home for sale, thought the feature sheet was well composed and, in particular, found their electronic feedback system, direct from other realtors, to be most helpful! During this time we must admit to having one regret ... the Martel Team had not been the ones to help us buy our property, in the first place. Thank you to the Martels for a job well done!" "We would recommend their services to anyone looking to purchase a home or relocating in the Ottawa area." "We would like to take this opportunity to express our gratitude for the outstanding service you and your team provided us during our recent house hunting trip. Your business name came recommend to us by a friend who recently transferred to Ottawa and we quickly came to understand why. From the friendly greeting at the door from Jamie when we first arrived, to the well planned and thorough presentation of houses that followed. Everything was first rate and professionally done. Being with the RCMP we are quite familiar with moving process, however being our first move out of the province, to a city not well known to us, you, the Martels were instrumental in providing us with the needed assistance for a successful house hunting trip. We have found that one of the most stressful parts of relocating is the selling and purchasing of a home. Following the experience we enjoyed in dealing with the Martels. "They sold our home for 99.9% of list price in less then 2 days and they made an offer on our home in writing so we could put a firm offer with no conditions." "It also set our minds at ease knowing Martels were knowledgeable and compliant with IRP procedures and policies. We always felt you were making us your priority." "This is a letter of referral that we hope will provide your future prospective clients with the confidence that they are hiring the best of top notch real estate sales representatives. Our experience with your firm was extremely satisfying and exceeded our expectations. You were strongly recommended by clients who are friends of ours, and we were not disappointed! It also set our minds at ease knowing Martels were knowledgeable and compliant with IRP procedures and policies. Your level of expertise in all areas is second to none. We were impressed by your courteous and caring staff, the speedy responses to our questions by long distance even before our arrival, and your overall expert knowledge of the market. We always felt you were making us your priority and that we had your undivided attention. We felt confident we were on the right track at all times. Decision making was made easy by the extensive research you had on hand regarding market trends, appropriate home prices in the applicable areas, and information about the quality of workmanship by local builders and contractors we should expect. The negotiation phase was flawless, largely due to your familiarity with other realtors, knowing what to say and how to represent our interests, and your overall very positive “can do” attitude throughout the whole process. Equally important was your ability to recommend other service providers - inspectors, lawyers and insurance firms. They were not only participants compliant with IRP procedures and policies, they were completely competent and trustworthy." "We will definitely refer our team to our friends and co-worker. You made this House Hunting Trip a piece a cake..."
"From the first contact to the end, your team has been most helpful in assisting us finding our new home. Having only 5 days to search, look, choose and complete the purchase of a house, we expected a stressful experience. However, it turned out to be a smooth event with no problems at all. We appreciated that you took the time to contact us prior to our arrival to determine our needs, specific requests and get to know us to help us with the search of properties that were adequate for us. This enabled us to focus on properties that matched our need. We appreciate that your team, planned everything from beginning to end for us (from the listings visited, inspection booking to the legal representation). From the moment, we stepped in your office, we felt that we were in the hands of dedicated and caring professionals. Special thanks to Tim. He has gone beyond the call of duty, was professional and most helpful in not only finding a house, but in educating us on essential information about the area. We will definit ely refer our team to our friends and co-worker. You made this House Hunting Trip a piece a cake..... We can't say thank you enough. " Ours was the only one among three on the street to SELL! "We know we can trust Martels Real Estate to help our friends and family that need assistance with buying or selling their home." 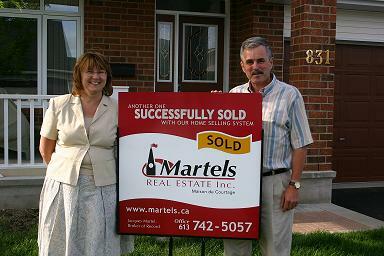 "We called Martels Real Estate because we noticed a lot of their for sales signs in our area. What a team! Throughout the whole sale process, there was always someone there to answer our questions, we met regularly for market updates and we always felt we were in the right hands. The staff was very friendly and always ready to help! When negotiations were needed, Lucie always made sure to take all our needs into consideration and got us full asking price! 2200 Noblewood Wa, Orleans, ON. "We sold our home with the Martels and are very happy with the service received." "We were listed with an agent before, then privately and we then decided to call the Martels. We met with Lucie and we decided this was the company we wanted working for us. They put our property on the market, and although it was not an easy home to sell, they were always available for our questions, our concerns and always tried to have new strategies to make the sale happen. We met with them regularly and were updated on exactly what was happening with the market and how it affected the sale of our home. "This Real Estate company impressed to the highest level. Im so happy my home is SOLD!" "I had never done business with the Martels before but when I met them, I knew this was the team I wanted to work with. I liked their team approach and the strong marketing that they do to get their properties exposed to a large amount of people. Someone was always available for me when I had a question whether it was my agent or a team member and I always felt like I was up to date on all that was happening. "I’m VERY happy I didn’t decide to do this on my own." 6603 Bilberry Dr. Orleans ON. "We sold within 26 days and for 99% of our asking price! "Our home listed and 4 days later it was sold by the Martels!" "The Guaranteed Sale program gave us the peace of mind and reassurance that our home was sold, no matter what happened. We sold within 2 days and at 102.5% of market value! " "We sold within 2 days and for 104% of our asking price!" "Thanks to Lucie and the Martels team for all their help and guidance throughout this process." "From day one, members of the Martels team, Lucie in particular, worked with us always moving forward to get to a successful conclusion. Although it took longer than expected to sell our home, throughout the process Lucie and the various other members of the Martels team were always helpful, very positive and encouraging, telling us, “don’t worry, it will sell”. As a professional, Lucie gave us her perspective of the market and shared her thought process about what was happening and what buyers tended to be looking for when shopping for a new place to live. Lucie was patient walking us through the process, discussing options, never pressuring, always supportive. In the end we took action on her thought process and the house sold in less than a week at a positive price level. Our thanks to Lucie and the Martels team for all their help and guidance throughout this process on one of the major activities on the road of life. "Sold within 1 week and for 100% of our asking price!" "Within 12 days my home was sold and for over 102% of my asking price!" "I filled out a Free Over the Net Home Evaluation form that I read about on a Postcard I received and received my report back promptly. I then decided I wanted to meet with someone from their team to get the exact pricing of my property. At the meeting Valérie gave me lots of tips on how to prepare my home for the sale to ensure I could get the absolute top dollar for my property. I followed her instruction and soon after I was ready to put the house on the market. "C’est ma 5e transaction avec cette équipe et j’en suis toujours satisfait." "Tous les membres de l'équipe Martels Real Estate ont été très professionnels et disponibles pour répondre à nos demandes et questions concernant la vente de notre propriété. C’est ma 5e transaction comme acheteur ou vendeur avec cette équipe et j’en suis toujours satisfait. "Our home sold for 99.7% of the asking price and with a quick closing date!" “We had been in contact with the Martels for years but weren’t ready to move just yet. They were following up with us regularly to make sure we were satisfied with the information provided and never put too much pressure on us to act now. When we became more serious about the move, The Martels were ready to act. We met with Christian Payer of Martels Real Estate and knew we were in good hands. We listed the home on the spot. Our home sold for 99.7% of the asking price and with a quick closing date! Once this happened, our main focus was to find a home to move into. We found a home we loved but there was a first refusal on it. We offered on the home anyways, the terms were accepted but then the 1st buyers firmed up their offer so we could not proceed. 42 Burnstead Cr, Kanata, ON. "Votre équipe est dynamique, toujours disponible et offre un excellent service à la clientèle. " "The performance of the team was perfect #1! " "A special thank you to Lucie and David." 6645B Bilberry Dr, Ottawa, ON. "5 days on the market ended with 100% of our asking price and a good closing date!" "Throughout the whole process, we were provided with guidance and sound advice." "We had been looking for a bungalow for a number of years until we found a listing by Martels Real Estate at the beginning of June, 2012. Chris Payer showed us the house, which we decided to buy and Chris assisted us with the purchase. We decided to use Martels for the sale of our current home. Having lived there for 22 years, we were somewhat out of touch with current regulations and procedures relating to the sale of a house. However, we were able to benefit from Martels’ vast experience, through Chris, for the preparation of the listing and subsequently sale of the house. "It was my first time dealing with a team instead of an agent." "I ended up getting 99.5% of my asking price!" SOLD for OVER MY ASKING PRICE. "Very helpful. Excellent service – I can’t think of anything else to add." 496 Wincanton Dr. Orleans, ON. "Martels Real Estate Inc has been very professional during the sale of my home." "Christian a su répondre à nos attentes." 834 Como Cr, Orleans, ON. "The Martels are the ones who found the couple that bought our home and they were able to sell it for 99.4%!" We had seen and heard about the Martels but had never previously used their services. When it came time to sell our home we needed a team we could trust. We put our house on the market and were kept updated throughout the whole process. We were regularly called and emailed with updates and werent left wondering what was going on. The Martels brought ideas to the table to increase interest in our out of town property. Finally they are the ones who found the couple that bought our home and they were able to sell it for 99.4% of our listing price We are very happy with the end result and would gladly recommend the Martels and their team to our friends and family. "Thank you to the Martels and their team for getting another one of our homes sold!" 45 Oasis St. Limoges, ON. "Le niveau de qualité de service était supérieur et très professionnel." "We really appreciated the services received from Martel Real Estate Inc."
102-1720 Marsala Cr, Ottawa, ON. 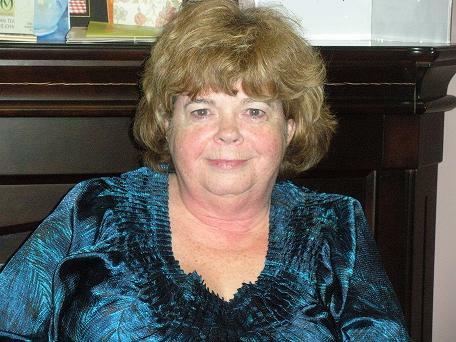 "Mrs. Lucie Martel, We are very grateful for your service and commitment to your customers." "We sold in 22 days and for 98.5% of our listing price! "The Martels sold my home for $30,000 more." "The Martels sold my home for $30,000 more than what I thought it was worth. We didn't think that the value for $400,000 was actually there. Lucie convinced us that is was, based on us doing some upgrades. She was right and we appreciated that so very much. We trusted her judgement and she was bang on! "The house sold fast and for over the asking price." "For over 1 year I was contemplating on selling my house. I met with Lucie Martel originally to discus and to let me know what was needed to get top dollar for my house It was a long list. I decided at the time to try and list privately without doing the work needed. The house market wasn’t doing so well and realized through this attempt that much time and effort was needed on my part to go through the selling process. A year later once the work on my house was close to completion I was ready to attempt to sell again. I toyed with the idea of doing it privately but going through this process a year earlier time and effort kept me from trying again. I made a decision to meet with 2 different companies to discuss my sale. I choose The Martel’s both offered the same type of service but having more employees’ backing the Martel Real Estate Sales Representative was what won me over. The house sold fast and for over the asking price. I always thought that the commission charged on a sale of a house was a too high but the service I received from the Martel Group was excellent and made the commission less of an issue. "We ended up getting $20,000 more than what we had expected! Thank you for exceeding our expectations, again." "We had already purchased through the Martels a couple of years back and our experience was very positive. So, when the time came to sell our home in Ottawa, we naturally thought of them. We listed with the Martels and ended up getting $20,000 more than what we had expected! Thank you for exceeding our expectations, again." "Having experienced previous moves due to military postings we knew it's critical to find the best fit for us, in terms of realtor. We found that fit with the Martels. We received 104% of our asking price! "This is our 5th house sale over the past 12 years and your team has been by far the best realtors we have ever dealt with." "I just wanted to take this opportunity to thank you for the excellent service you and your team provided during the sale of our house on Old Montreal Road. This is our 5th house sale over the past 12 years and your team has been by far the best realtors we have ever dealt with. We have found in the past that our homes were not marketed very well and communication only happened when someone wanted us to drop our price. This was not the case with your team, we can clearly see that our home was marketed in many different locations and your feature sheets were very presentable. You and your team kept us updated every step of the way and it was very clear that you were working for what was best for us as your client." "The professional guidance offered throughout the entire process was up front and honest." "It is with great pleasure that we offer our sincere appreciation to the entire Martels real estate team. It was without hesitation that we chose to contact Lucie Martel when it came time to sell our home in Orleans and the experience was both successful and rewarding. From our initial interview it was clear that we had chosen the correct realtor team as Lucie’s professional and direct approach were exactly that we were looking for. The knowledge, experience and vision or the Martels Inc were clearly conveyed to us by Lucie during her visit with us and were evidently displayed throughout the entire process of selling our house. We found the team’s approach both unique and refreshing. The professional guidance offered throughout the entire process was up front and honest and represents a key reason for choosing the Martels Real Estate Inc. In closing we wish to re-iterate that our experience with Martel Inc lived up to all expectations and surpassed all the reviews offered to us by friends and family who have solicited your custom before us. We will eventually return to Ottawa in the very near future and we will not hesitate to contact you upon our return. "Your approach to real estate, your personal attention and your follow-up make us very confident that we are in good hands. I would say the best we ever had!" "Many times in our lives have we dealt with real estate. Buying or selling a house has always been a stressful time. However, for the second time around I have dealt with the Martels and we have found a most professional team. Your approach to real estate, your personal attention and your follow-up make us very confident that we are in good hands. I would say the best we ever had! "Your integrity and honesty to ensure our investment was protected could not have been surpassed. Highly, highly recommend the Martels Real Estate." "We appreciate Lucie’s guidance and expertise through the whole process. We will definitely be recommending you to any friends and family that want to sell or buy a home in Ottawa." "We would like to take this opportunity to thank Lucie and the rest of the Martels team for the outstanding service assisting us in the sale of our home. We interviewed three realtors when deciding to sell our house. We chose the Martels because we were very comfortable right from the onset with your approach and the dedication to us and other clients. "Vous êtes définitivement « L’ÉQUIPE » par excellence. " "Nous aimerions profiter de l’occasion pour exprimer notre sincère gratitude et appréciation à toute votre équipe pour un service offert d’une qualité sans reproche qui ne se compare en rien avec tout ce qui peut se faire en terme de service aux clients. Nous avons vraiment adoré votre attitude positive, votre compréhension, votre constant désir de nous aider et de nous satisfaire et surtout le fait que vous nous avez traités avec un respect digne de mention. Nous savons bien que nos exigences et besoins vous aient offert un plus grand challenge que vous avez surmonté avec brio. Malgré le fait que nous étions plus inquiets vis-à-vis les obstacles rencontrés avec les différentes offres reçues et qui par la suite ne se concrétisaient pas, vous avez continué à garder confiance et à nous rassurer que vous alliez vendre notre maison à notre entière satisfaction et vous avez tenu votre parole complètement. Nous sommes vraiment impressionnés de toute votre équipe, de votre professionnalisme et des outils mis à notre disposition afin de suivre l’évolution constante du processus de vente et des visites. Que ce soit votre site Internet facile à suivre et extrêmement complet, vos documents papiers, votre système de commentaires suite aux visites des real estate sales representatives, votre système d’avertissements par téléphones et courriels pour les visites, les mises à jour constants sur la situation de la vente et finalement les indications de mise en marché de maisons semblables dans notre coin. Votre expérience, vos connaissances et votre leadership dans le domaine immobilier sont tout simplement remarquables et se reflètent positivement dans le service offert à nous les clients. Merci encore mille fois pour votre coopération et il nous fera grandement plaisir de continuer à vanter les mérites de votre équipe et de recommander à tous nos parents, amis et collègues qui désirent vendre ou acheter à Ottawa, de vous appeler sans hésitation. Vous êtes définitivement « L’ÉQUIPE » par excellence. N’hésitez surtout pas à utiliser nos noms et cette lettre pour vos publicités ou autres documents." "Ultimate customer service, very professional and knowledgeable. " "The whole Martel Team is always on top of everything; they disclosed all information upfront and were very easy to deal with." "We recently bought and sold through The Martels. They are hard working, friendly, knowledgeable and professional. Jacques and Lucie were extremely Patient with us while we searched for our new home. They never pressured us into a decision even though we had searched for almost a year. Jacques and Lucie cares about all aspects of client’s interest and go well out of their way to get the best results for their clients. The whole Martel Team is always on top of everything; they disclosed all information upfront and were very easy to deal with. They were always there to answer our many questions. We would recommend them to our family and friends." "Valerie was able to negotiate almost $6,000 off the asking price and a quick closing date!" "When I wanted to buy, I decided to go with the Martels as I knew Valerie beforehand. I told her what I was looking for and she set me up to receive exactly those types of properties. A little over a month later, I decided I wanted to start looking at homes. We went out to see a couple of homes and sure enough, I found the one I wanted! "As a first time buyer, I’d like you to know that Chris made the purchase of my new home easy and hassle free." "Chris made it his priority to find us a similar home and fast." 691 Everlasting Cr, Ottawa ON. 473 Keith Crescent, Ottawa, ON. "I would recommend the Martels & Chris to anybody purchasing or selling a house." 1547 Beaconfield St, Orleans, On. "We would recommend the services of Martels to our family and friends without hesitation." 2395 Rondel St, Orleans, On. "Throughout the whole process, we were provided with guidance and sound advice. " "We had been looking for a bungalow for a number of years until we found a listing by Martels Real Estate at the beginning of June, 2012. Chris Payer showed us the house, which we decided to buy and Chris assisted us with the purchase. We decided to use Martels for the sale of our current home. Having lived there for 22 years, we were somewhat out of touch with current regulations and procedures relating to the sale of a house. However, we were able to benefit from Martels’ vast experience, through Chris, for the preparation of the listing and subsequently sale of the house. Throughout the whole process, we were provided with guidance and sound advice. If we had any concerns, we felt that they were addressed promptly and in a satisfactory manner. "J’ai vraiment apprécié la disponibilité de l’agente". "Thanks to Valerie and the team’s organization during this quick process." "It was comforting to have professionals guide us through the process." "We wanted to write and thank the Martel’s team for their dedicated efforts in helping us to buy our first home. It was comforting to have professionals guide us through the process as we found it could be overwhelming. It was a very smooth and non-stressful transaction thanks help from the whole team at Martels Real Estate. You can tell that Valerie (our sales representative) really put the time and effort into researching the different areas we were interested in and making sure she always had our best interest in mind. She took her time with us, making sure we understood each step of the way. The most important point for us was during the negotiation process. We had complete trust in Valerie's ability to negotiate the best deal for us. The whole team was always available and willing to meet at any time. All my questions were answered promptly and we enjoyed our working relationship. We are very happy with our new home and would not hesitate to recommend you to others. Without any doubt, when we will make another purchase or sale, we will definitely use the services of the Martel’s because we will know that everything will be handled by professionals and the process will be flawless. "Her commitment and hard work made it possible to find a home within a week." "We sold in 22 days and for 98.5% of our listing price! We are very happy with the results of our purchase and sale!" "We will definately continue to recommend The Martels to our friends and colleagues." "When we found out we were being relocated back to Ottawa we immediately called the Martels." "We got the house we wanted for 9,500$ less that their asking price!" "We were here for our house hunting trip and we used the Martels as our representatives. On our 2nd full day of visiting houses, we found the house on which we wanted to make an offer. Our Real Estate Sales Representative felt the house was overpriced and advised us to make a lower offer. After the seller countered with their firm price, we were ready to accept, but our Real Estate Sales Representative talked to the seller's representative and managed to negotiate another 2,500$ off the purchase price! We got the house we wanted for 9,500$ less that their asking price! Thank you for all your help, we are very happy with the outcome!" Richard & Taline Y. "Vous êtes définitivement « L’ÉQUIPE » par excellence." "From the first contact to the end, your team has been most helpful in assisting us finding our new home. Having only 5 days to search, look, choose and complete the purchase of a house, we expected a stressful experience. However, it turned out to be a smooth event with no problems at all. We appreciated that you took the time to contact us prior to our arrival to determine our needs, specific requests and get to know us to help us with the search of properties that were adequate for us. This enabled us to focus on properties that matched our need. We appreciate that your team, planned everything from beginning to end for us (from the listings visited, inspection booking to the legal representation). From the moment, we stepped in your office, we felt that we were in the hands of dedicated and caring professionals. Special thanks to Tim. He has gone beyond the call of duty, was professional and most helpful in not only finding a house, but in educating us on essential information about the area. We will definitely refer our team to our friends and co-worker. You made this House Hunting Trip a piece a cake..... We can't say thank you enough." - Deb & Jim Harris! Real Estate expert for response.